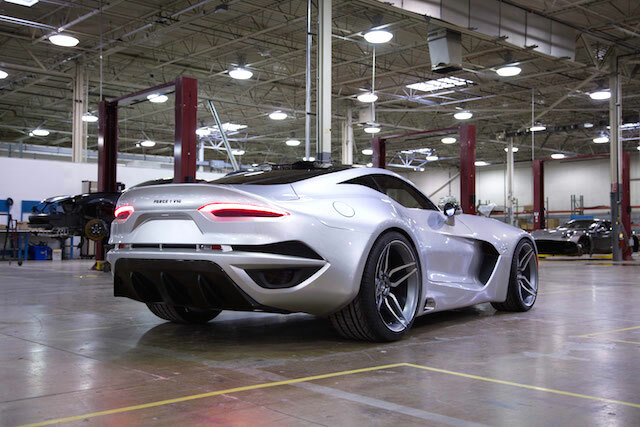 The VLF Force 1 — an all-American supercar developed by former General Motors Vice Chairman Bob Lutz, entrepreneur and manufacturer Gilbert Villarreal and world-renowned automotive designer Henrik Fisker — debuted to critical acclaim at last month’s Detroit Auto Show. Enthusiasts were especially captivated by its handcrafted leather interior that was completed by master trimmer Dan Miller. Impressed with Dan’s work, we caught up with him to chat about how he landed the job of upholstering the VLF Force 1 and what the process was like. Dan answered all our questions and provided great insight on upholstering cars at the highest levels of the automotive industry. You’ve had a long working relationship with Henrik Fisker. How did that come about? Back when I had my shop, I used to do all the work for Designworks, a company in Agoura Hills, California, which BMW wound up buying out — so it’s now called BMW Designworks. That’s where I met a lot of automotive designers. I met Fisker. He was head of BMW Design for a long time. 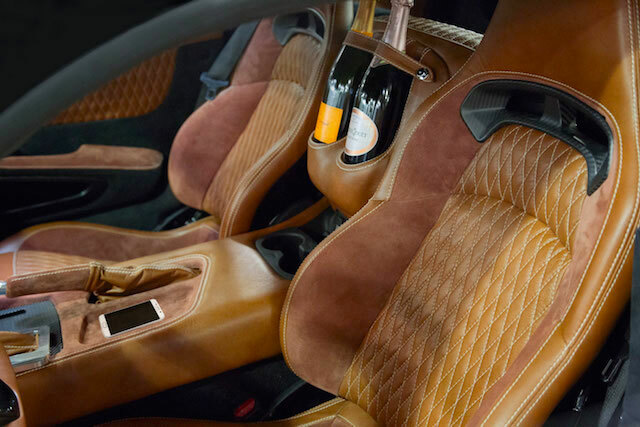 How many vehicle interiors have you fabricated and upholstered for Fisker? For him personally, not counting when he was with BMW, I would say I’ve done three cars and a motorcycle, but numerous little odds and end parts. How did you get the job of upholstering the VLF Force 1? Did they have a sewing room ready for you at their plant? Did they have the design and the color palette picked out ahead of time? They had all the leather and suede picked out, but Henrik doesn’t do a heavy detail interior sketch like he does for the exterior. He’ll go up to the seat and kind of have a rough idea, and he uses tape. He starts taping lines and doing this, that, and the other. Then we talk about it. Next thing you know, I start doing what he wants, and he loves it. He was thrilled. Everybody was happy. How familiar is Fisker with the technical aspects of automotive upholstery? He’s very knowledgeable because, like I said, he ran a car company. He built a car. He’s very knowledgeable on how things go together, but I’m much more knowledgeable when it comes to, “Let’s sew up the seat.” You know what I mean? He knows what he wants. We get together, and it’s a compromise, and we build it. Given that the VLF Force 1 is based off the Dodge Viper, what interior modifications were made to modify it for a new audience? It was a Dodge Viper interior … They changed the center console, cut it all out, glassed in different shapes. The tops of the doors were cut off and changed and glassed on. The quarter panels in the back, the sail panels, the headliner. On the dash, they changed the vent holes. They changed the entire vent design, so they had to be glassed and “Bondo-ed.” … Then, the console was quite different. It doesn’t look like much. He put some stitch designs. Samsung had something to do with sponsoring their booth with all these TVs, so Samsung wanted to make sure that their phone fit in the center console. What other parts of the interior did you upholster? The seats, dash, console, door panels and headliner. I wasn’t even supposed to do the headliner because they thought the old headliner would fit, but they extended their roofline back with that quarter window, and the headliner dropped down right in the middle of the quarter window. I said, “You’re kidding me. You really thought this was going to fit?” I had to strip the headliner. I pie-cut it and I changed the cardboard design. I laid it up with some pieces of chipboard and glued and layered it like you were laminating plywood to get a curve shape to it. Next thing you know, I had a headliner made … We covered it with Alcantara and it looked beautiful. Even one of the top guys there who ran the headliner developing division for Gilbert Villarreal said, “How did you make this? We couldn’t get our guys to make this in the factory.” I said, “Come on, really, really.” I know some special quick ways of making fiberglass panels like when you’re in a time crunch. I said, “It’s a time crunch. We’re going to have to make this panel. Let’s just get some chip board, tape it together, pie cut it, curve it.” You can make chipboard in the shape of a basketball if you pie cut it enough. Then, glass up on the back side, put some foam over it, put a French seam and leather, and it looks like you just paid someone in Detroit $10,000 to make a mold and make a panel. That’s what they like. I was more or less a problem solver, too, towards the end when they were running out of time. 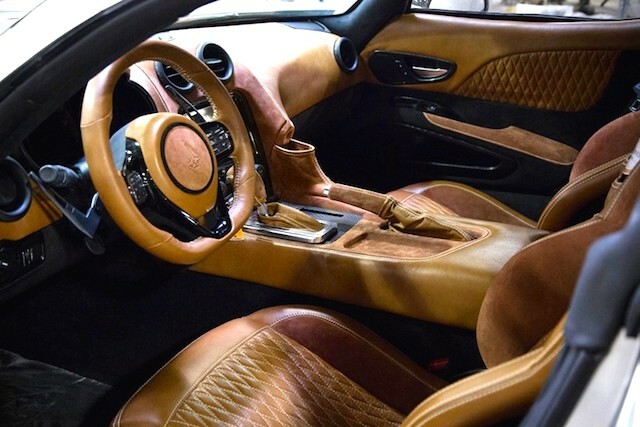 You previously mentioned that although you upholstered the VLF Force 1’s interior, you didn’t assemble it. Why is that? Luckily, it all went together bitchin. The only problem they had was the rear glass. It wasn’t my fault. It was the weather stripping … The original weather stripping had an extrusion that was made for a slight curve, and it had a bend at a 90 degree angle, so they had to get two pieces of rubber off of a donor car, cut it, splice it. Was there any part of the interior that gave you a lot of trouble? What’s weird is when I was flying out to Detroit, in my mind, it was like, well, whatever they throw at me, just take care of business. It was just very calm and relaxed. There was never anything hard. It was interpreting what the designer wanted and getting him to express exactly what he wanted so that I could give it to him. Throughout your career you worked on a lot of unique projects, including a number of concept vehicles. Of all the jobs you’ve done, which is your favorite? 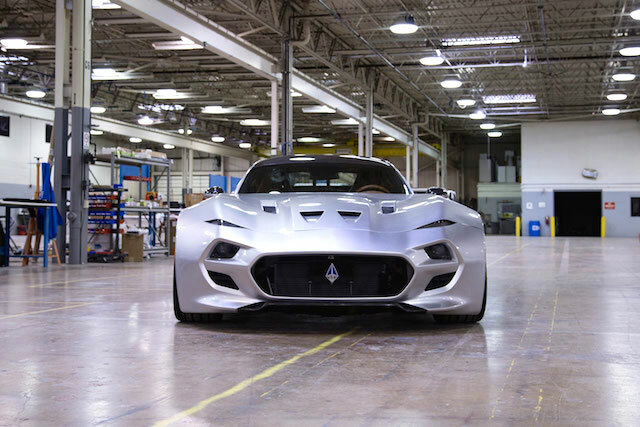 This job I just did would have to be my favorite because the crew I worked with, which is Henrik Fisker, Gilbert Villarreal and Bob Lutz, those three guys who own VLF Automotive in Auburn Hills, Detroit. It’s a class act organization. 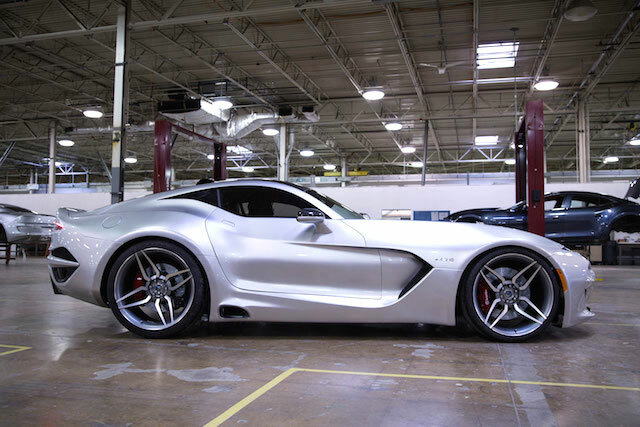 To learn more about the VLF Force 1, visit VLFAutomotive.com. Dan is a true craftsman and man of integrity. There’s only a handful of these guys in the industry.